The New Year begins with a huge change in cost structure and assumptions. The big collapse in worldwide energy prices shifted wealth and power from oil producing nations to oil consuming nations. The surge in the U.S. shale industry comes just as economic slowdowns surfaced in Europe and in Asia. At the same time, the U.S. economy strengthened causing a stronger U.S. dollar. There are many predictions of $50 per barrel oil as the “new normal”, which will change the cost structure, market focus and assumptions for the entire domestic dairy complex. First, the development of shale, hydraulic fracturing and horizontal drilling has created a domestic oil boom. Many “good jobs” in Texas, Oklahoma, Pennsylvania and North Dakota create demand for food, housing and clothing with many previously unemployed consumers. The subsequent fall in gasoline prices have lowered EVERY consumer’s costs providing more disposable income. Just last week, the federal Energy Information Administration estimated that the typical American household would save $750 this year, because of lower gasoline prices. People who depend on home heating oil and propane to warm their homes, as millions do in the Northeast and Midwest, should enjoy an additional savings of about $750 this winter. Restaurant sales are the first recipient of this type of excess cash. Since the Great Recession, consumers have held back spending on many “luxury items”. Chief among these are affordable luxuries like meals out and entertaining. On the cost side, the production costs associated with dairy production and storage is in the 3-5% range. The U.S. Energy Department reported average U.S. price for diesel fell another 8.4 cents over the past week to $3.053 per gallon. The cost of freight to secure supplies and ingredients is lower. This comes on the heels of a large corn and soybean crop this summer, which filters down to lower feed cost for cows. Interest rates had crept up the past six months as the market anticipated the Federal Reserve to cut its quantitative easing program. However, lower worldwide demand and freight costs have forced a reversal in interest rates at the same time that banks are loosening lending practices. In summary, the cost to produce dairy is less than it was a year ago. In the past few months, the exchange rate between the Euro and the dollar has fallen from $1.40 to $1.15, an 18% move, making European imports cheaper and U.S. exports more expensive. So much of the U.S. dairy supply has found its way offshore the past few years. The rising dollar, coupled with slowing Asian economies has reduced exports. November data valued exports at $500.5 million, down 14% from November 2013. The net of all this action is slowing world demand for U.S. dairy products at the same time that domestic demand is rising. What’s a dairy marketer to do? Answer – focus on domestic sales and the acquisition of market share. All dairy market participants have experienced the “fast-ups” and “slow-downs” as the CME changes. As markets signal price increases, manufacturers are very quick to raise prices. As markets soften, prices come down more slowly with rationalization of inventory and floor stock protection. 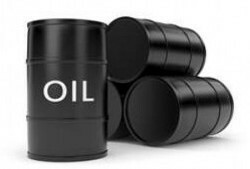 Every signal about oil markets is that $50 oil will be with us for at least twelve months. Huge amounts of oil inventories exist with contracts in place for more pumping. Even if oil companies want to slow production, they are contractually obligated to continue pulling crude from the ground. China’s GDP growth has slowed from 11% to the 6% range and European demand is way off. The right assumption is that manufacturing costs will be lower for the foreseeable future. Dairy companies that want to take market share will aggressively promote their businesses. Cutting price is the single fastest, worst way to grow market share. Price buyers are never loyal and some increase in orders will not offset the destruction of reputation; once a price cutter, always a price-cutter. Aligning with bottom-feeder buyers will feel good in the short-run but create long-term problems. There are no secrets in the grocery business and current customers are certain to learn that you “bought” business and will demand similar pricing. The strategy of lowering prices will destroy your long-term profitability. Better ways to gain additional market share are through aggressive promotion and product innovation. Aggressive promotion includes increases in marketing and brand building. Your current customers understand your points of difference but many prospects do not know what makes you unique. Investing in marketing to tell your story will pay long-term dividends. This is the time to remove risk for prospects. Consider promotions like guaranteed sales, buy one-get one and free goods for samples. These types of promotions lower customer acquisition cost, reduce their risk AND maintain your price integrity. Product innovation is a longer-term strategy. Start-up costs and poor quality test runs are easier to finance on $15 milk versus $26 milk. Identify unique customer needs and work directly with them to produce exciting dairy concoctions that will delight their customers. I just returned from the Fancy Food Show in San Francisco. There were 10 new ice cream / gelato companies with great new flavors. Outside of dairy, Sriracha and Ginger flavors are everywhere. It’s so easy to develop a Sriracha Jack or Ginger Cheddar. Go where the flavor is and capture new hearts, minds and stomachs. The next two years should provide a lower cost period to experiment, take risk and grow. Jamming low cost product off shore will not be a winning strategy. Now is the time to innovate, promote and introduce new exciting items for domestic consumption.